Is He Always in Prasanthi Niliyam? For the past eight decades, the only mission Bhagavan Baba has been engaged in is to raise the level of awareness of man from the mundane to the divine. And He has done this through His own life as well as His Teachings. Every discourse of Baba is patent with powerful messages delivered in a manner that is simple and lucid, practical and penetrating. Almost on every such occasion, Bhagavan begins with a poem and ends with a bhajan which is sung en masse. And the main message is conveyed through the elucidation of deep insights ably supplemented and illustrated with interesting and inspiring anecdotes. Each of these tales is fascinating and worth ruminating over repeatedly. It is for this reason that we have culled out 85 such stories from the huge treasure of His divine discourses to present them in the form of quizzes. The first part, which has 21 questions, is below. We hope this will serve you in revisiting His messages so that we can translate them into real virtues in our lives. 1. During a Divine Discourse delivered in 1999, Swami narrated a story of how any ungrateful man can stoop down to low levels: “Once, in a forest, a hunter, on being chased by a tiger, felt tired and climbed up a tree. On the top of this was sitting a bear. As the tiger could not climb, it waited under the tree but when it saw the hunter it wanted to gobble him up as it was very hungry. It asked the bear to push the man down, so that it could kill him and appease itself. The bear refused to do so, saying that the hunter was its guest and it was its moral duty to extend hospitality to him. The Tiger however continued to wait under the tree. Concluding with the lesson that each one has to face the consequences of his own actions, Swami narrated that the ungrateful man pushed the bear down, but fortunately it saved itself! What did the bear say then? B. “As long as I am safe, I don’t care about the man!” and went back to sleep! 2. During a Divine Discourse given in 1994, Swami advised us: “The mind's speed is unparalleled. It is only because of lack of control of mind one gets into bad temper, which causes loss of discrimination and spells ultimate ruin. It is imperative that one should control oneself and avoid getting angry. 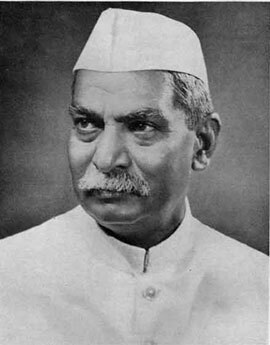 “Let me cite an incident from the life of Babu Rajendra Prasad, the first President of India. Dr. Prasad had a very good servant by name Rathna who was exceptionally faithful and served him for a long time to the satisfaction of his master. Eventually, Rajendra Prasad’s asks his servant to serve him till the end of life! Why? “Friendship, in these days, can be illustrated by a story. A person had three friends. He had taken to several bad ways and consequently had to face a court case. He went to one of them and sought his help. But his friend frankly told him that he would not like to associate himself with his crime and refused to give evidence to rescue him. “The second friend, when approached, told him that he would only go up to the court but would not be a witness in a witness box. According to Swami, who will be our best friend and accompany us in life, even after death? “It is necessary for us to enquire into the source and nature of kama (desire). Till we can do so, we will not be able to distinguish between what is lasting and what is only temporary, what is right and what is wrong. Kama increases our attachments and thereby weakens our memory and intelligence. Once our intelligence becomes weak, we become inhuman. Thus, kama has the capacity to ruin our life. “If we understand the nature of kama well, it will go away from us in one moment. If we give a high place to it without exercising due discretion, then that will get the upper hand and will begin to dance on our heads. There is a small story for this. According to Swami, how can we cure ourselves of the disease of this ‘kama’, which poses as a ‘well-wisher’ just like the imposter at the wedding? B. The best remedy is to suppress our desires! D. There is no cure; everyone is a victim! “Once, a businessman was traveling in a boat. There was no one else in the raft except himself and the boatman. Usually, people would like to engage themselves in conversation with somebody during travel in order to forget the tedium of the journey. 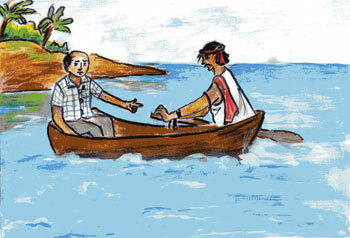 Therefore, he started a dialogue with the boatman asking him, ‘Do you have a newspaper?’ The boatman replied, ‘Sir! I don’t have a newspaper. I cannot read and write.’ To this, the businessman commented, ‘Alas! If you cannot read and write, one quarter of your life is consigned to the waters of Ganga.’ The boatman felt sorry for his pitiable condition and kept quiet. According to Swami, what should we be aware of, to avoid our entire life to be consigned to the Ganga too? “In a village there were two farmers, one the village headman, the big landlord of the village, and the other a small farmer. 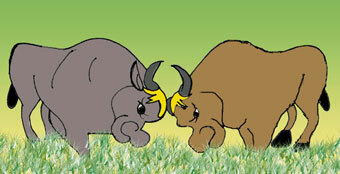 One day, the bulls of the two farmers were involved in a fight at the end of which the headman's bull died. The small farmer was deeply worried and was at a loss how to explain the matter to the village chief. 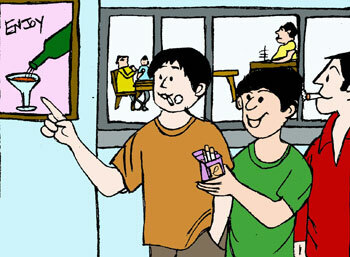 In his nervousness and fear, while relating the incident to the big landlord, he stated by mistake that his bull had been killed by the headman's bull in a fight. 7. During the 1974 Summer Showers Discourses, Swami taught us: “Intelligence is useful to you as seer only with regard to worldly matters, and it is indeed very superior to the sensory organs. There is a small story to illustrate this. “In a village, a blind and a lame man became friends. The one with no eyes had legs and the one with no legs had eyes. So, the lame sat on the shoulders of the blind man and steered the way. In this manner, they moved as they went begging from one village to another. To raise our level of consciousness even higher, Swami then said: “________is superior even to intelligence.” What is it? “Once, an Indian and a foreigner were traveling together in a railway compartment. The Indian was a chain-smoker. Not only that, he was puffing out on the face of the foreigner. 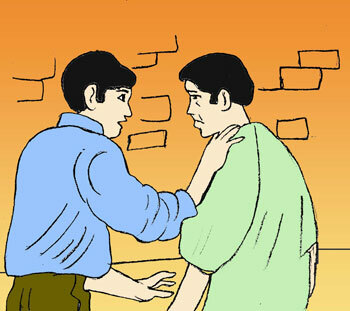 The other person tolerated it for sometime and when he could not bear it anymore, he told the Indian, ‘My dear son! I am not feeling well. I cannot bear this. If you want to smoke, please go to the toilet.’ The Indian who was brought up with modern education replied, ‘If you cannot tolerate my smoking a cigarette, you may go to the toilet. I have bought this cigarette and am at liberty to smoke and puff as I please.’ Thus, he began quarrelling with the foreigner. 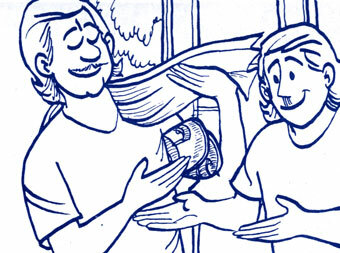 What is the lesson that Swami teaches us here from this story? A. When provoked, even the good can turn bad! B. Arrogance is a very demeaning act! D. To gain respect, we must always stand up for ourselves! “There is a small story in our Upanishads which tells us how the possession of wealth changes the qualities of some people. “A mother, who had a lot of money, had only one son. The boy had lost his father early in life. As he grew older, he developed bad habits because of his wealth. Getting into bad company he did things which were wrong. In fact, he looked like a mad person who was wasting his life. The world is such that if there enough water in a tank, many frogs come and gather there. But once the tank is dried up, all the frogs disappear. In the same manner, many friends gather round you as long as you have wealth; and the moment this disappears, friends too vanish without telling you. 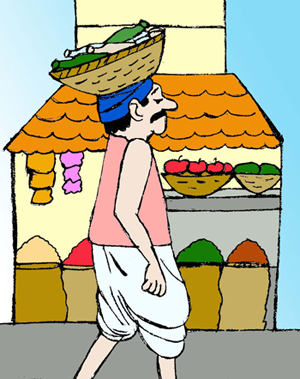 “A street-hawker had on his head a basket full of empty bottles, as he walked along to the bazaar. “He hoped to sell the lot at a profit of ten rupees and, in ten days, he calculated his earnings could accumulate to a hundred rupees. With that as capital, he planned to switch on to more profitable deals and imagined to make a pile of a lakh of rupees in a few months and then build a bungalow with a lovely garden tended by a regiment of servants, beaming all round the house. There, he saw himself on a sofa in the greenery playing with his grandchildren. 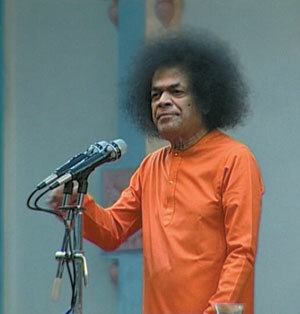 As Swami continued with the narration, what lesson did he impart? A. One must only do what one pleases! “The messengers were surprised at his strange willingness to accompany them; they asked him what had happened to make him so resigned and determined. “Anger is another enemy of health. It injects poison into the blood stream and brings about profound transformation, which damages it.
" Two women, who were neighbours turned into bitter enemies on account of a dispute over a very trivial incident. The cow belonging to one woman while going on the road dropped its dung in front of the other lady’s house. The owner of the cow ran to collect the dung, while the other woman claimed that it belonged to her since it lay on her doorstep. According to Swami, what’s the best way to stay away from negative emotions thereby preserving one’s health? D. By living in the present! As we all know, most people run away from silence! According to Swami, what can man gain at those precious moments when there is silence around us? “I must give the elders, the parents who are here in large numbers some advice. Do not set bad examples for children. If you are truthful, just be calm under provocation and full of love in all your dealings with others, the children too will grow up in sathya (truth), dharma (righteousness), shanthi (peace) and prema (love). When you are at home and someone calls on the telephone if you tell your son to reply that father is not at home, you are sowing a poisonous seed, which will become a huge tree. Let me tell you a story to illustrate the danger of such small beginnings. 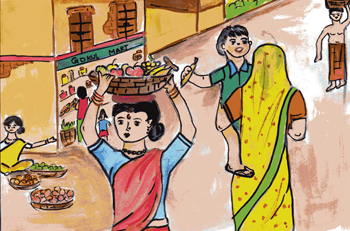 Through this narration, what lesson does Swami teach to the youth of today? A. Even your parents cannot save you if you commit a crime! C. Children can teach parents good values too! D. You can learn to be good only from a Guru! According to Swami, besides not letting others be happy, what self-destruction does miserliness bring on oneself? B. Misers encourage others to be misers too! 17. During a Divine Discourse given during the 1977 Summer Showers, Swami said: “It is not as if there is no reason for our inability to recognize the form and nature of Atma. There is a small story to illustrate this. “Ten friends came together and they wanted to cross a flowing stream. As the river was flowing fast, they were somewhat confused. However, by some effort they reached the other bank of the river, and developed a doubt whether they had all been able to cross the stream. The moment this doubt entered their mind, there was also a desire to check whether all the ten people had indeed come through. One of them began counting one, two, three… until nine and then he imagined that the tenth person was not present…Not only was he under the impression that the tenth person was not present, but he also began to feel that one member of the group may have been washed away in the river, and they were all in a state of mourning. 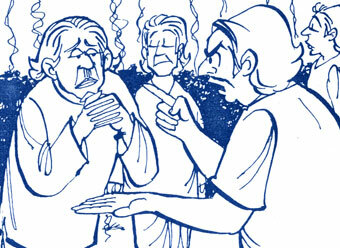 According to Swami, what reason did the new person find that was the cause of the group’s sorrow? 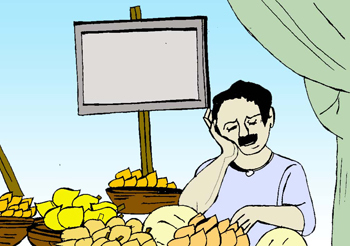 “There is the story of a man who was bathing in River Godavari when it was in spate. As he was so engaged, he saw a stick with a golden handle floating towards him. He caught hold of it and left it on the bank to complete his bath. Meanwhile, the bank caved in and the stick was carried away by the river. After his bath, the man found the stick missing and wailed over his loss. “The Vedas says Sahasra Seersha Purushah… which means, ‘All heads, all eyes, all feet are His’. Once you understand the principle of oneness that is present in all, you can live in tune with the true spirit of brotherhood. “After the war for the liberation of Rangoon (Myanmar), a mother and her son somehow managed to reach Chennai, having lost their near and dear ones. They had no shelter over their head nor any food to eat. The mother would go begging for alms from one house to another, give most of it to her son and partake of whatever little was left. 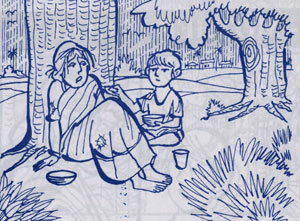 When she would not get enough, she would give the entire food to her son and would herself go without food. She was put to many difficulties, but she bore everything for the sake of the well being of her son. Consequently, she became weak as days passed by. According to Swami, what is one of the main reasons behind not being able to find such noble sons in this day and age? “Four friends once started dealing in cotton. They had a godown for the storage of the bales; finding that the cottonseeds attracted rats into the store, a cat was introduced by them to scare the rodent throng. They tied jingles to her feet and since they loved it much, the jingles were of gold! “Once, when the cat jumped from the top of the pile of bales, it started limping on one foot. So they applied some balm and tied a long strip of bandage round the injured foot. This bandage got loose and the cat unaware of the long narrow cloth she was trailing behind her, sat near the fireplace. When the cloth began to burn, she ran helter-skelter and fled into the godown itself, where the entire stock of cotton was reduced to ashes in a trice. The four friends had assigned to themselves each one of the feet of the joint cat and the injured foot belonged to one of them; so the other three charged him with the damages, which they claimed from him. What lesson does Swami teach us here? D. Only a court can resolve difference of opinions! Dear Reader, did you like this quiz? Is it too difficult? Is it interactive enough? Would you like more such quizzes? Please help us in serving you better by writing to [email protected] mentioning your name and country. Thank you for your time.